Dental implants are the safest and most comfortable way to replace teeth that have been lost to decay, accident, or injury. Unlike other dental restorations for missing teeth, implants are embedded into bone, creating a strong and exceptionally durable support for replacement teeth. At La Costa Dental Group, we’re happy to support your health, comfort, and oral function with dental implants in Encinitas. In severe cases we offer IV Sedation in a safe and efficient way for your comfort. For many patients seeking new teeth with dental implants, their treatment plan consists of visiting a few locations for care – their general dentist and their surgeon. At La Costa Dental Group, our Encinitas implant dentists keep all parts of your treatment plan in one location. We can both surgically place your dental implant and provide you with a permanent restoration, including implant crowns, bridges, and full-arch permanent dentures. During implant placement surgery, our skilled dentists place the implant post (or faux tooth root) into bone in your jaw. This process, which may seem complex, is actually a quick surgical treatment that can be completed in less time than you imagine, depending on the number of implants that are recommended for your treatment plan. For anxious patients, we offer the benefit of IV sedation with your implant surgery. With sedation, you are placed into deep relaxation and will have no memory of your appointment. Single and Multiple Unit Restorations – For patients with sporadic tooth loss, or just one missing tooth, implant posts can be placed at the site of lost teeth and topped with tooth-colored dental crowns. If you have a small group of missing teeth, multiple implants can also be used to anchor a dental bridge. Mini Implants and Snap-On Dentures – Solving total tooth loss with removable dentures is no longer your only option. The use of implants to anchor full dentures provides significant improvement in fit, feel, and function. Using a series of mini implants placed along a jaw arch, your full denture can be made to snap securely onto implant posts and can be removed easily for cleaning. 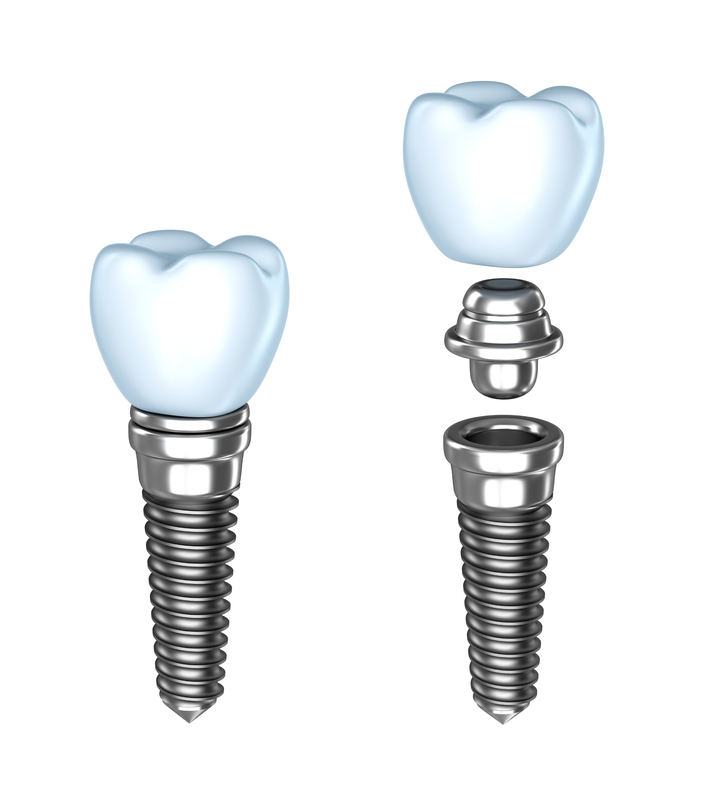 Mini implants are often more affordable for cases where full mouth restoration with multiple implants is required. Full-Arch Implant Dentures – Patients looking for implant dentures, who want a permanently secured restoration, can choose to have multiple, full-sized implants that anchor a full, non-removable denture. Full arch implant dentures provide the closest possible substitute for a full arch of lost teeth. Our implant crowns, bridges, and dentures can be made with all-porcelain materials or can contain a metal base to accommodate our patients’ goals for life-like and durable teeth replacements. 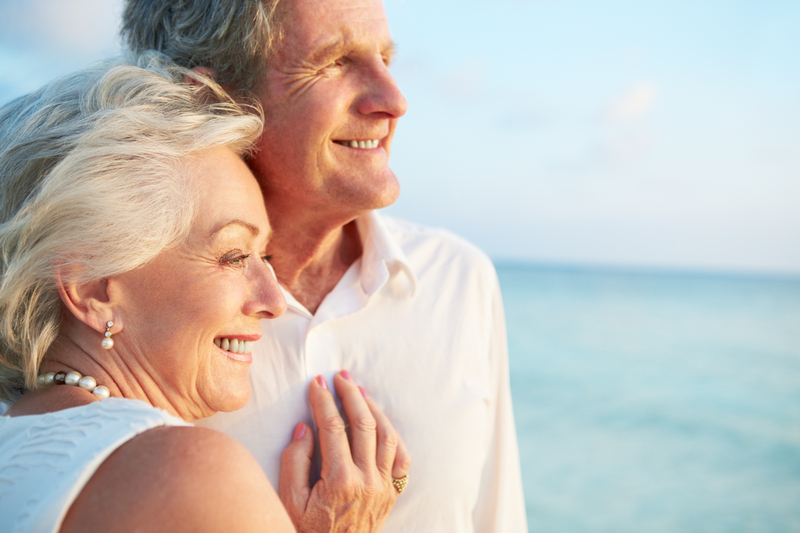 La Costa Dental Group is proud to serve a large population of senior patients and can help you swap your full, removable denture for the comfort and security of implant-supported dentures. Our team of experienced and friendly dentists can help you find the right solution for replacing missing teeth with dental implants. For more information about implant dentistry in Encinitas, CA contact La Costa Dental Group today for your consultation.